En primeur, or known as wine futures, is a method of purchasing wines early while the wine is still in the barrel. The customer can then invest in the wine before it is bottled. 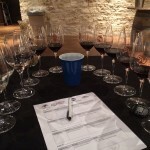 This practice is often done in other wine regions like France, but not too often in Texas. 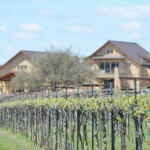 However, a similar concept was recently done in Texas for media invited to visit three award-winning Texas wineries. 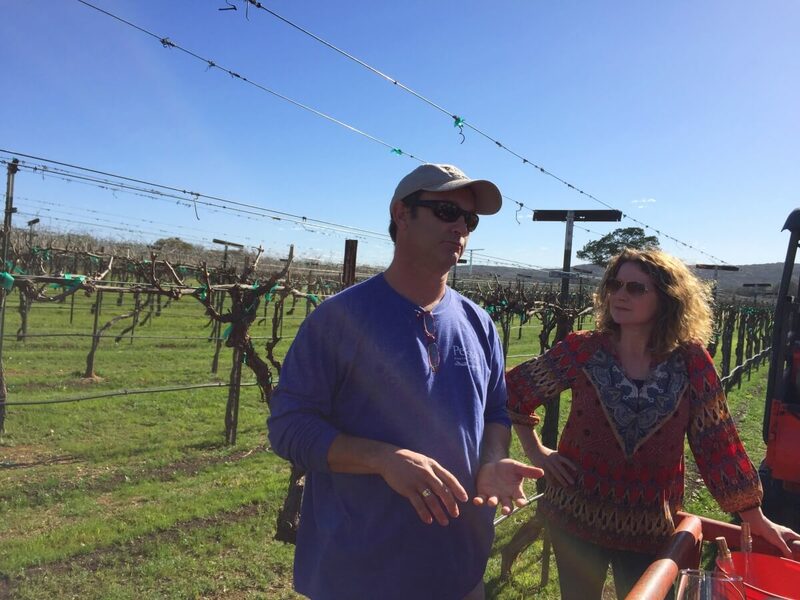 Matt McGinnis of Pen & Tell Us arranged the tour and most met in Austin to load a bus from Discover Texas Wine Tours. 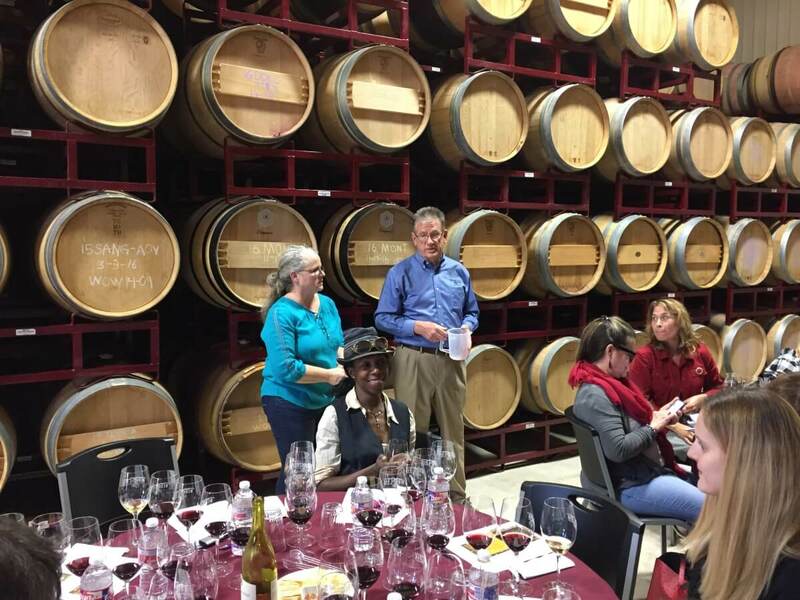 A previous media tour was done in 2015, but that Roll Out the Barrel included eight wineries in one day. You can read about that tour which required two posts: one and two. The first winery we visited was Perissos Vineyard and Winery. We were greeted by owners Seth and Laura Martin and directed to go to the vineyard where a hayride was waiting for us. We hopped aboard the trailer and learned we were sitting in the Roussanne rows of the vineyard. 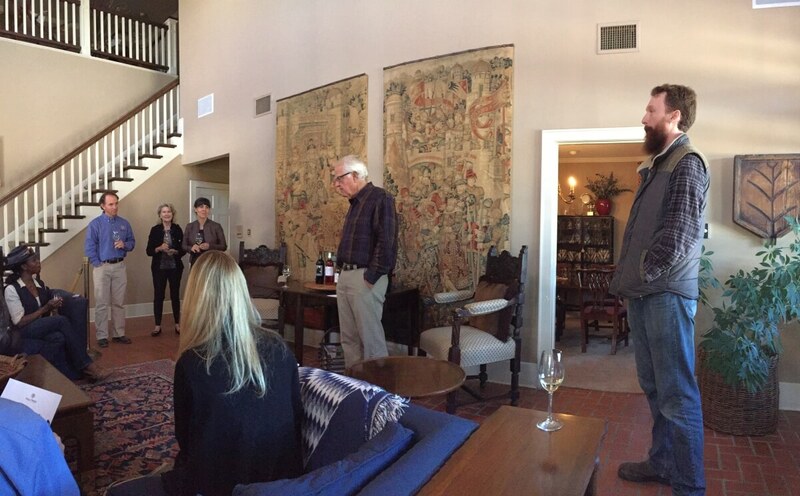 There we did a vertical tasting of their 2014 and 2015 Roussanne wines which were both sourced from Oswald Vineyard. The primary difference in the two wines was the 2014 was fermented in all stainless with no malolactic, while the 2015 was fermented and aged in French oak barrels for six months and malolactic was done in the barrels. Everybody had their preference of oak or not while tasting the wines, but both wines were excellent which was proven by being Gold and Double Gold medals winners respectively in the 2016 and 2017 San Francisco Chronicle Wine Competition. It was time to get the tractor and hayride moving, and we went to the other side of the vineyard where we stopped in the Aglianico rows. 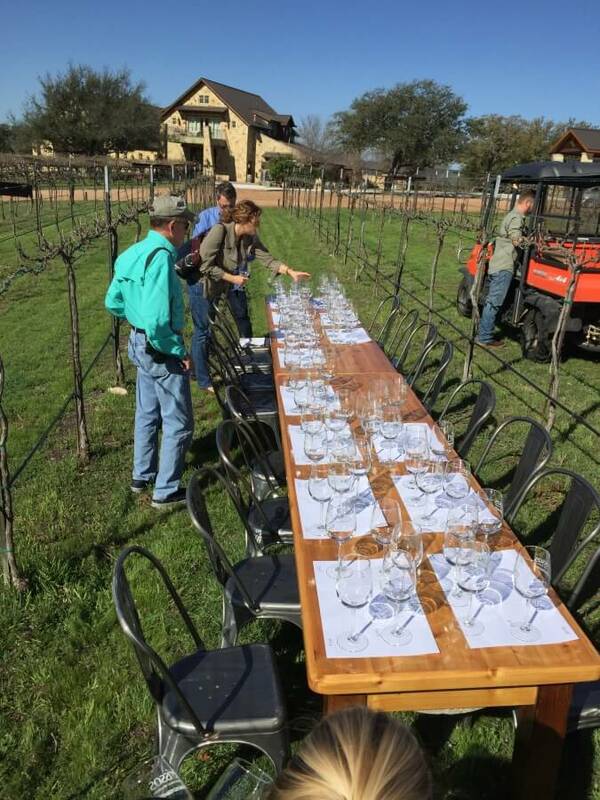 There in the vineyard was a table set up with wine glasses for a five year vertical tasting of Perissos’ Aglianico. Just thinking about sitting in the vineyard and enjoying great wine was alluring to all present. 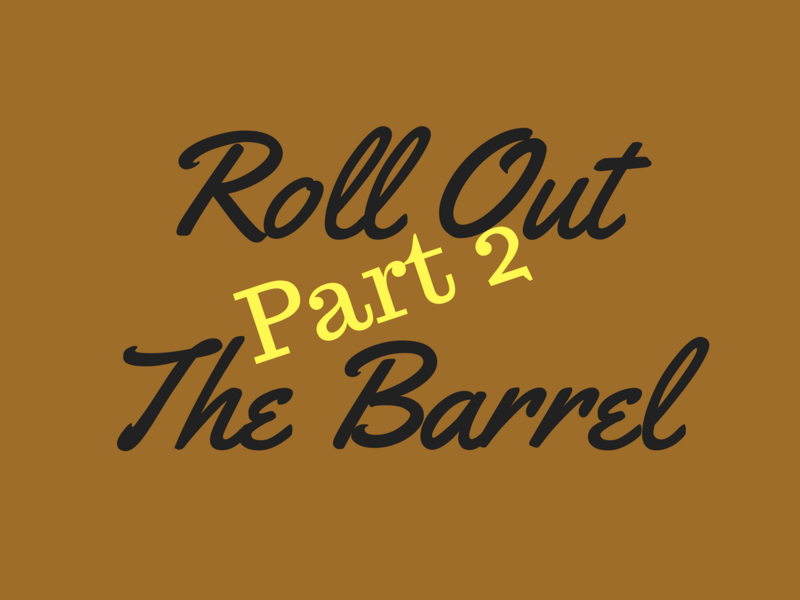 The vertical consisted of years 2012 to 2016 with the 2016 being a barrel sample, and all wines were made the same way. 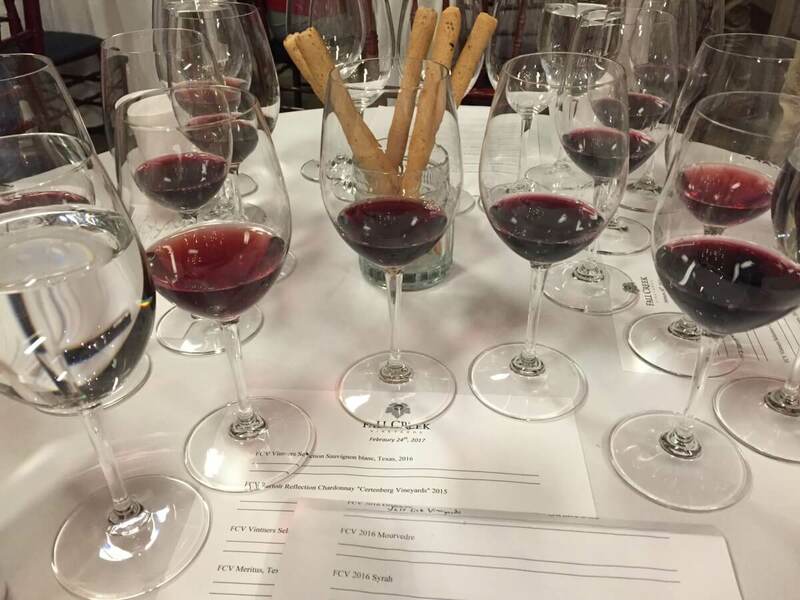 All vintages were 100% estate grown and again with the awards, the 2012 was a Best of Class at the 2014 San Francisco Chronicle Wine Competition, 2013 a Gold at the 2015 TEXSOM International Wine Awards, and the 2014 was a Best of Class at the 2016 San Francisco Chronicle Wine Competition. The 2015 was just released at the time of our visit. 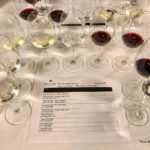 It was a fantastic way to compare the same wine from different years and everybody tried to pick their favorite, which was very difficult since all were great. After a quick tour of the new winery building being built, it was time to pack up the bus and head to the next winery, Fall Creek Vineyards in Tow. When we arrived, we were greeted by owners Ed and Susan Auler, winemakers Sergio Cuadra and Phil Price, and sommelier Ame Brewster. Vintners Selection Sauvignon Blanc 2016 (Mesa Vineyards). Released February 24, 2017. Chardonnay 2015 (Certenberg Vineyards). We were told we were the first ones to taste the wine and the 2014 Chardonnay was the Best White Wine at the 2017 Houston Livestock Show & Rodeo International Wine Competition. Vintners Selection Creekside Rosé 2016 (Cabernet Sauvignon, Merlot, Tempranillo, and Syrah which were harvested to make rosé). 700 cases of the wine were made. Meritus 2013 (53% Cabernet Sauvignon, 47% Merlot). Meritus is not made every year as Fall Creek waits for the best grapes to make the wine. They skipped 2011 but did make a 2012. The wine hasn’t been released yet, but it did receive a Gold in the 2017 San Francisco Chronicle Wine Competition. There will also be a 2015 Meritus with 80% Merlot and 20% Cabernet Sauvignon. 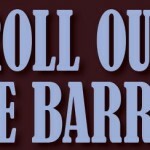 Phil Price talked about the barrel samples and you could tell he is enthusiastic about working with Texas wines. 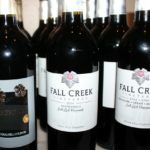 The vineyards that Fall Creek works with are Hill Country vineyards. That is by choice because they prefer to work closely with the growers, and being in the Hill Country makes it easier to be on site. We finished at Fall Creek and it was time to go to Wedding Oak Winery in San Saba. After arriving at Wedding Oak, managing partner Mike McHenry greeted us at the back gate. 2016 Roussanne (Narra Family Vineyards). 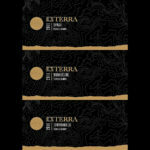 Late March/early April release. 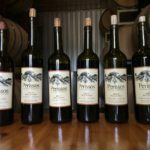 2015 Regency Bridge (42% Graciano, 39% Tempranillo, 16% Grenache, 3% Tannat – Tio Pancho Ranch Vineyard). Possible release in June. 2016 Terre Rouge (GSM with Cinsaut – High Valley Vineyard). The one row of Cinsaut does almost a ton of grapes. 2016 Touriga Nacional (Phillips Vineyard). This tasting had a very strong mint aroma and taste, and Penny stated it would probably go in an Italian blend. 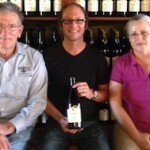 Mike told how in the early days he worked on the Alamosa Wine Cellars vineyard for two years. During that time he said they planted the first Tannat in the state and in 2004, he thinks they were the first to plant Cinsaut. 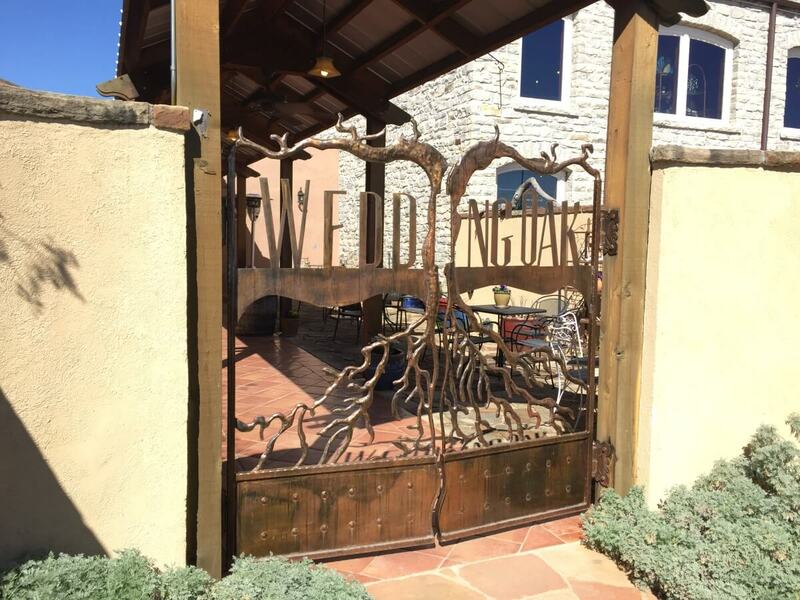 Wedding Oak Winery only uses French oak barrels for their wines that they buy from another winery, so they currently do not use new barrels. After another wonderful tasting at Wedding Oak Winery, it was time to leave and get back to Austin to end the day. Even though we did not get the opportunity to purchase en primeur, I know we will be looking forward for the barrel samples we tasted to be released to market!